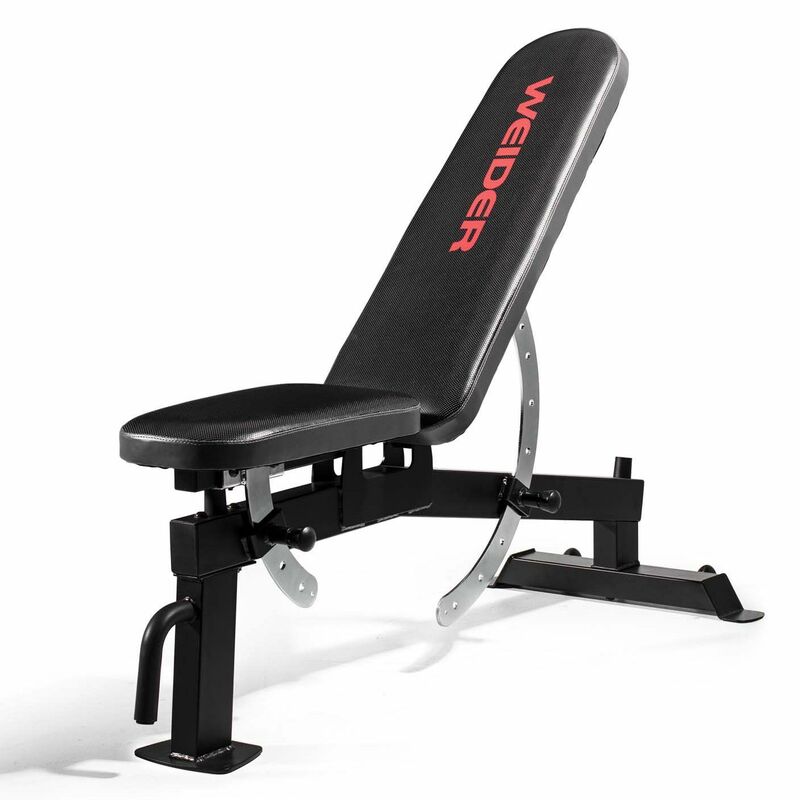 Designed to help you build muscle and tone the entire body, the Weider utility bench is perfect for exercises such as bicep curls, triceps bench dips, chest flys, shoulder press, back rows, decline push ups and leg lowers. This compact, easily adjustable bench offers great workout versatility thanks to an 8-position backrest made of high-density foam and a comfortable 3-position seat. The bench features decline, incline, flat and military positions to let you target different muscles and get better workout results and its sturdy construction provides safety and stability while exercising. The utility bench has a weight capacity of 277kg (610lbs) and includes a practical, step-by-step exercise chart created by a certified personal trainer. 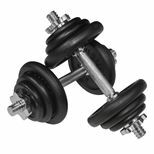 Save 20% on the Viavito 20kg Black Cast Iron Dumbbell Set when purchasing this product! for submitting product information about Weider Utility Bench We aim to answer all questions within 2-3 days. 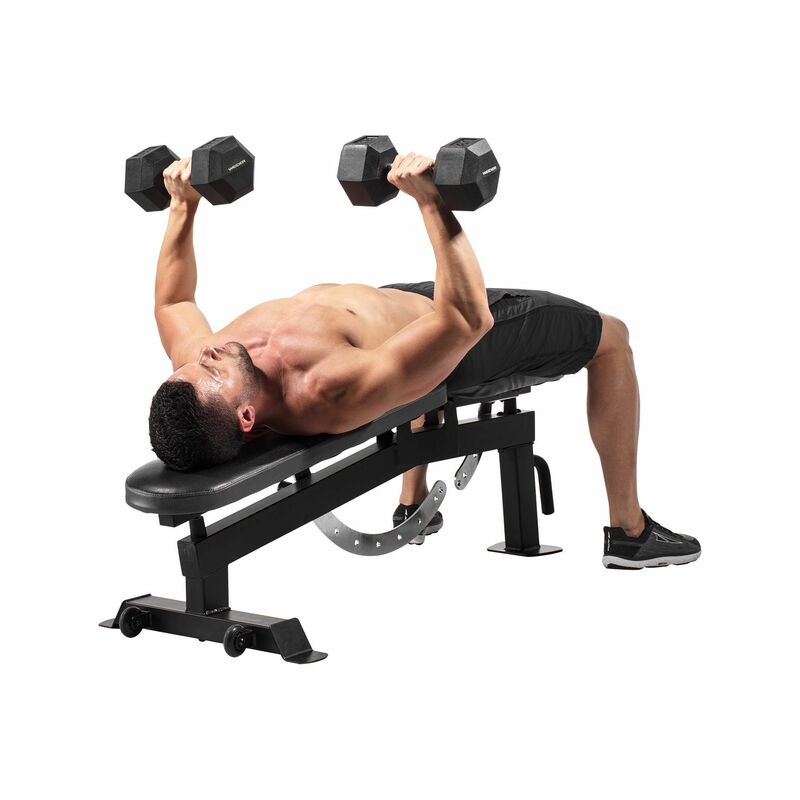 for submitting product information about Weider Utility Bench. We aim to answer all questions within 2-3 days. If you provided your name and email address, we will email you as soon as the answer is published. for submitting product review about Weider Utility Bench.